One morning, as Fairy Archie sat reading at his kitchen table, he felt a whoosh through the window, and the pages in his book fluttered. "Is that you, Hughie?" he called out. "You know it is. Who else blows around everything in your house when he delivers your mail?" Hughie said. Archie laughed. "Good point." Hughie was a humongous butterfly whose flapping wings stirred up quite a gust. Archie and Hughie had been the best of friends for the past year, ever since Hughie had landed on Archie's roof to rest. Hughie had to rest a lot because he was too big to keep up with the other butterflies. They teased him about being so slow, and that hurt his feelings. Archie knew how Hughie felt. The other fairy-kids teased him because he couldn't fly at all. 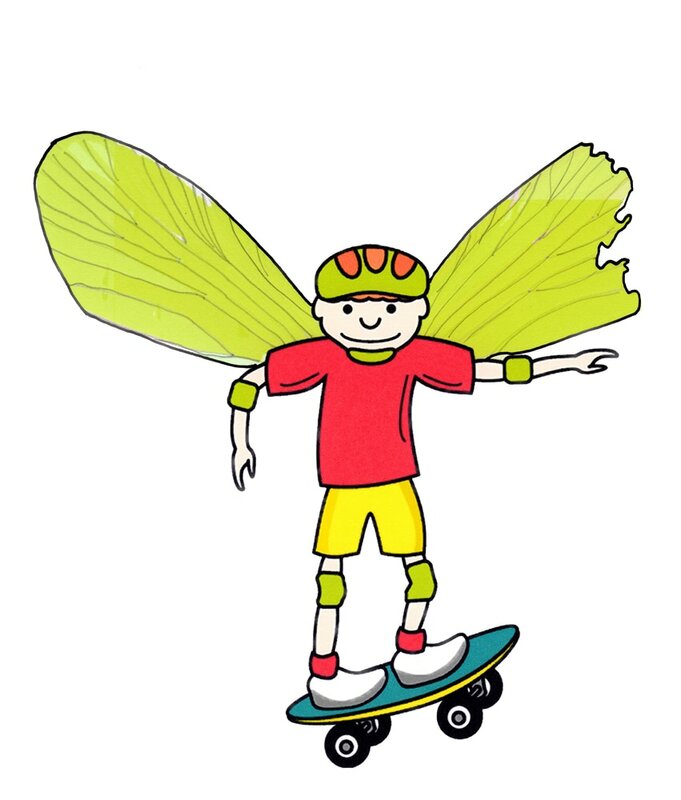 He had broken one wing in a skateboard crash—too badly injured to be fixed. So Hughie had become Archie's wings, going on errands for him and carrying him wherever he wanted to go. In return, Archie let Hughie live with him year-round instead of flying south with the other butterflies. "This one looks important," Hughie said as he handed Archie a letter through the open window. Archie ripped open the envelope and read the note inside. "Bad news, Hughie. It's from Mayor Marcos. He says Crotonville High School is cutting back on after-school activities, due to the economic downturn. He's asking us for ideas about what to do." It wasn't unusual for Mayor Marcos and the Crotonville Council to ask Archie and Hughie for advice. The two had been local heroes ever since they'd put out a fire at Fairy Sylvan Sally's house that could have destroyed the whole village. "Hmmm," said Hughie. "I knew things were getting bad around here. 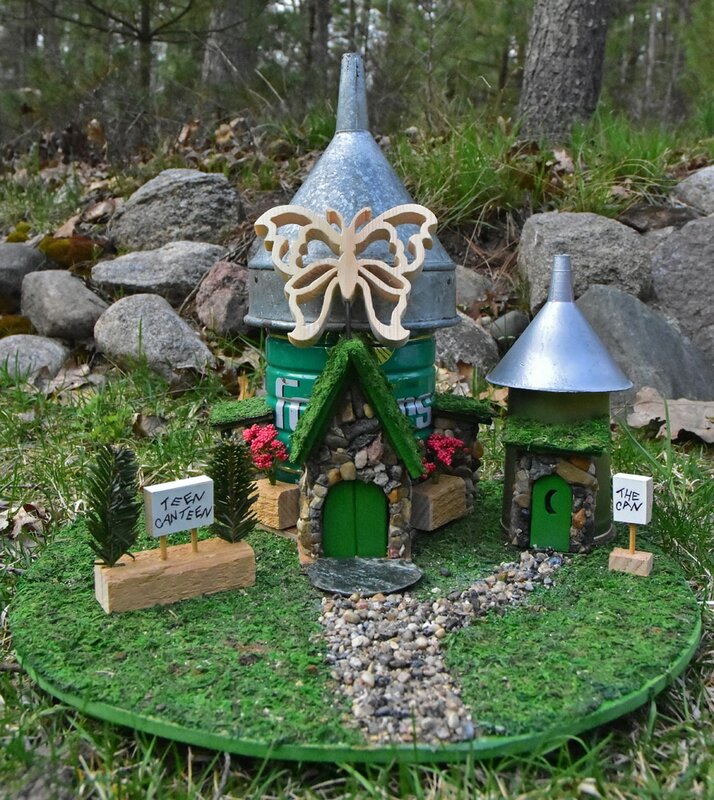 Ever since our most famous Fairyland actor, Peter, flew off to Hollywood with his twinkly sidekick, the Pixie Playhouse hasn't been able to get funding for its productions. And the other fairies say demand for wish-granting is way down because all the kids are too busy playing with their phones to daydream. But I didn't know things were that bad." "We’ve got to come up with a plan," Archie said. "My dad always told me, if you tackle a problem with a Can-Do attitude, you can find solution. Let's put our heads together." Hughie stuck his big head through the window. His proboscis brushed the floor, and his antennae tickled Archie's chin. Archie giggled. "Not literally, Hughie. I just meant let's work together on ideas." "Oh. Well, maybe some of our friends would volunteer to lead activities for the kids," Hughie said. 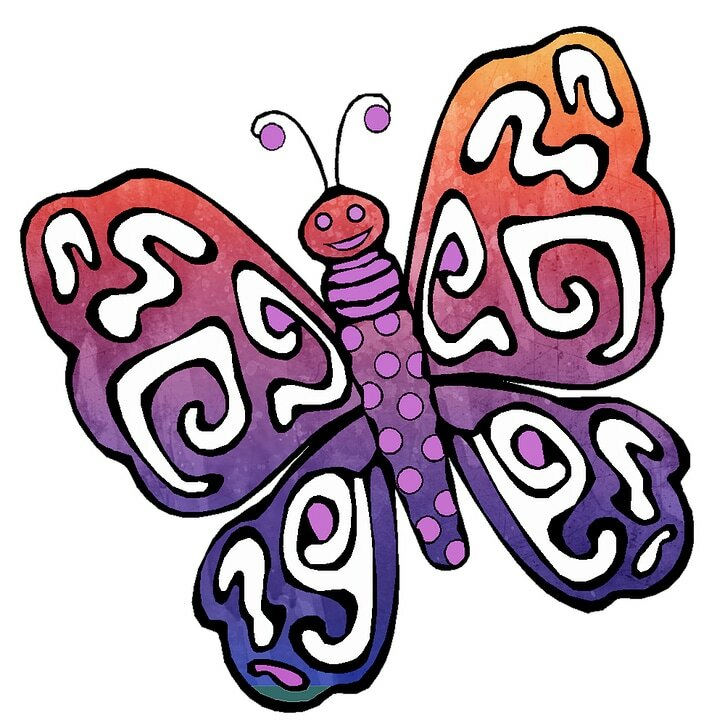 "Fairy Godmother Brenda could teach painting and drumming, Elfin Eldon could give guitar lessons, Sylvan Sally could be the baking instructor, and all the Woodland Nymphs could teach floga—that fairy-style flying yoga they do." "I love it!" Archie said. "But where can we hold the classes? It's too expensive to keep the high school open after hours." "We'll get everyone to pitch in and build a place," Hughie said. "But first we need some materials, and I know exactly where we can get them. Hop on my back and I'll take you there." Archie and Hughie flew off across Crotonville to the recycling center, where Genie John let them poke through all the cast-offs. After pawing through boxes and bins for a while, Archie slumped to the ground and scowled. "All I've found so far are these coffee cans full of rocks and some old funnels. What good are they? Hughie fanned his friend with his giant wings. "Remember the Can-Do spirit, Archie. Chain all that stuff together, and I'll airlift it out of here. We'll figure out something to do with it." A month later, the two friends hovered over Crotonville as Mayor Marcos unveiled their creation. "Archie and Hughie have done it again—along with the help of the Crotonville community," the mayor announced. "Thanks to their ingenuity, we have a new place for high-school kids' after-school activities and a talented bunch of volunteers to lead them. And now . . . "
Mayor Marcos pulled away the curtain covering the structure before him. "I present to you. . . the Archie and Hughie Teen CAN-teen!"